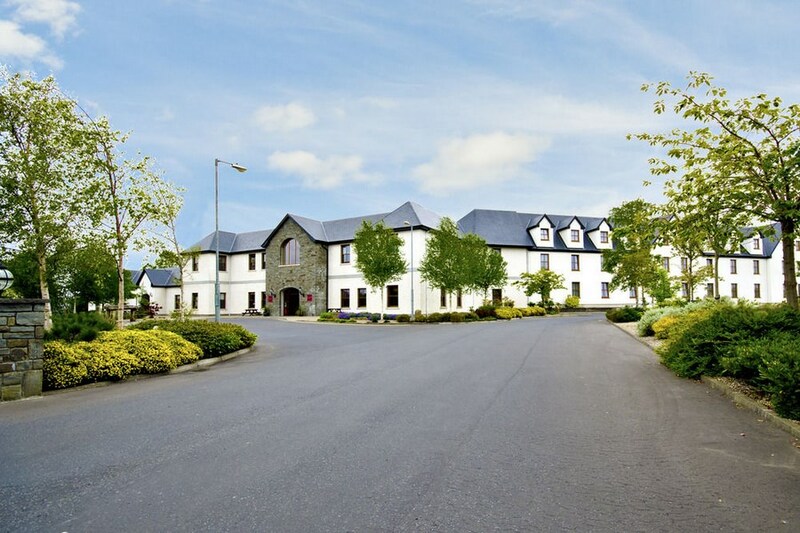 The Hotel Ballina is a luxurious 4 star hotel on the Dublin road in Ballina Co Mayo. The Hotel also offers a swimming pool & Spa. Local attractions include golf, fishing, horseback riding, walking, sightseeing, theatre, museums, shopping or a night on the town. The Hotel is on the Dublin road. By car exit at the N26 Foxford / Ballina Road. From Dublin 3 hour drive, Sligo 1 hour and Galway 2 hours. The Humbert Monument was erected in 1898 to commemorate the 100th anniversary of the French landing at Killala in 1798. A Dublin craftsman originally sculptured the monument but in recent years it has been beautifully restored locally by G.J. Ginty & Sons. The figure on the monument is not Humbert but Mother Ireland. It was moved to its present position in 1987. 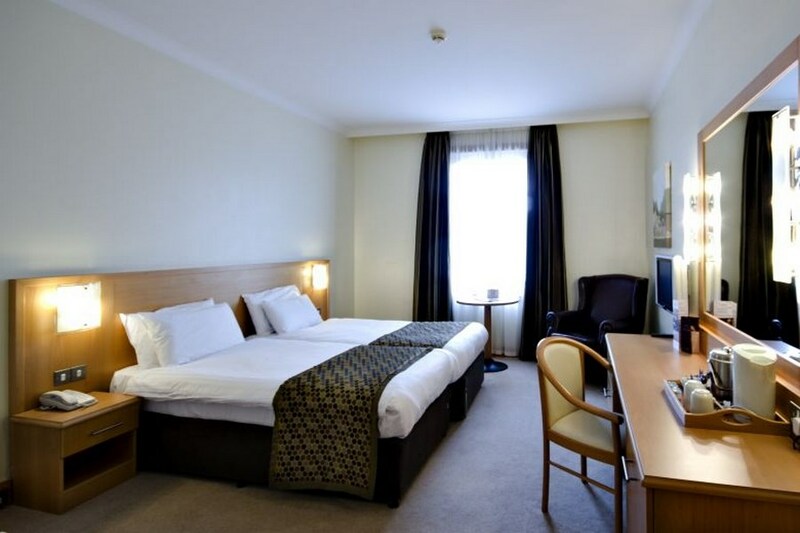 Very nice hotel, Rooms clean, modern, spacious and warm. Hotel quiet and relaxing, food excellent, staff friendly. Would recommend highly. Really excellent hotel. Staff very friendly and helpful. Food very nice. Signage on ain road is not good. We missed the exit from the main road. Lovely hotel, ideal for a family break. Kids enjoyed the pool and we ate in the bar which we enjoyed. The receptionist was super friendly & made us feel so welcome. Kids just loved the pool, so they were happy out. Beautiful hotel, really enjoyed our stay Der, lovely big spacious bedroom and equally big bed, food excellent, also good. I WOULD RATE THIS HOTEL A 3 STAR. THE HOTEL ITSELF WAS VERY CLEAN AND THE FOOD WAS OK. DINNER WAS NICE, BUT THE BREAKFAST WASN'T THAT GREAT, I THOUGHT. THE SERVICE IS ALSO QUITE SLOW. THERE WAS A FEW BUS TOURS THERE RECENTLY AND IT APPEARED THAT THEY WERE TAKING UP MOST OF THE WAITER'S TIME AND THAT THE REST OF THE GUESTS WERE LEFT UNTIL THEY WERE ABLE TO GET TO THEM. I ENJOYED OUR STAY OVERALL AND THE STAFF WERE VERY FRIENDLY. Had a two night stay here with B and B and one evening meal included. The hotel rooms were very clean (we had two inter connecting rooms which were great as we had a young child with us and it afforded us lots of space). The pool area could do with some attention, it is looking a bit jaded. The staff were all very friendly and helpful but service in the restaurant was very slow (which can be a problem with young children who aren't wired for waiting). The food included in the deal was uninspired and some portions were small, however the A La Carte menu was nicer, especially the crab claw starter and the chowder. An alarm went off close to midnight on our first night as we sat in the lobby area enjoying a drink, at no stage did a member of staff inform us what was going on or if we should evacuate (some people vacated their rooms with their children, all in nightwear and obviously woken from their sleep, with no explanation of what was happening from the staff/management). As mentioned in previous comments the hotel is not well signposted from the road and could easily be missed. All in all it was an enjoyable stay but it is not a 4 star hotel to my mind. perfect hotel for families, very clean , lovely breakfast and plenty for the children to do. Staff were so friendly and very welcoming. will use this hotel again and will recommend to family and friends. Definitely not a 4 star hotel. It was perfectly adequate but there was nothing remotely "luxurious" about it. Very little signing for the hotel when approaching from the town, and the name on the gate is not Hotel Ballina. Either change the name on the gate or update the hotel name elsewhere. We travelled another km looking for another hotel. Some staff were friendly and helpful but some were curt to the point of rudeness. Service at dinner was very slow, too few staff coping with bar and dining room. Very inviting and friendly staff we enjoyed our stay. Hotel itself was very nice, staff friendly and welcoming. However, the dinner included in the deal tasteless and disappointing. Hotel Ballina is a solid half hour walk to the south edge of Ballina proper but there are decent footpaths most of the way in. The hotel itself is quite pleasant. The double room was spacious. The dinners were grand. A note on the meal vouchers: they are good for four courses between two people, picked from a specific menu. Still tasty just not the main menu. Overall four stars is apt. Hi , I never like to write a bad review of a hotel especially when the majority of the staff were so friendly and helpful . However it only takes a few hiccups in service to ruin your well earned break. This is what happened to myself, my wife and three children,. We opted for a three night stay with one evening meal included, .Two of my children are teenagers and so were paid for in full as adults. Upon arrival at 3:30 pm. we were informed that our rooms were not ready and so we decided to explore Ballina and come back. Again upon arrival, about an hour later,there was no room, this time the receptionist said it was because she was trying to locate adjoining rooms for our convenience we thanked her but when we got the rooms at 5:45 pm. they weren't adjoining but down the hall from each other. Pool closed at 6:00 pm. so no swim. We got a fold up bed for the youngest but it was inadequate almost folded around him .The second night we opted for our inclusive 2 coarse meal for four adults, the girl dropped the menus on the table and was rude throughout, Luckily half way through she seemed to disappear and we were served by a lovely friendly waitress who redeemed the evening. The meal cost 85 euro when we had desert and paid for the under twelve, this included a bottle of wine 24 euro(Plonk actually, the wine list is really nothing to mention) and included surcharges of 7 euro if you were having steak or fish. The following night we had a top class meal in the town in a gem of a place called Dillon's bar & restaurant here the 3 courses and drinks came to 135 euro not much more than the "free meal".The shower in the boys room was broken and the promise to fix it never materialized. The shower gel was empty and when it was replaced it was with an empty bottle. The breakfast was very poor as if reheated. There was no greeting at breakfast and tables weren't cleared, The girls ran about doing there utmost to please but were clearly understaffed. There were no towels available at the pool we were asked to go back and bring them from the room. On the upside most of the staff were extremely eager to please, no kidding. really nice people and as I've said this was the redeeming factor. The Hotel and rooms were spotlessly clean no complaint there. Hopefully this review is helpful to the management. Fintan. We stayed from 20th-24th July . Hotel and room were spotless they had a fullirish breakfast plus pancakes which l had every morningand were lovely. Staff were very friendly. No entertainment during the week but its not far from town and plenty going on during the week. We went to a jazz session on Tuesday night it was great. Ballina is a lovely town with very friendly people the girl in the tourist office was very helpful giving us advise on where to go . All in all we really enjoyed our break will be back. We stayed here as a family with 2 young children and found the family room and kids pool very suitable for our needs, there was also a very good selection at breakfast, we've stayed in bigger hotels where porridge is not available like it is here. Food in the bar and restaurant was also of a high standard, a delay and mix up with our order was promptly resolved and we were offered a discount. We'd stay here again. Very pleased with the Hotel and Leisure Centre. Breakfast the best I have had in Ireland in a long time. We had dinner on both nights and there was an excellent choice of food on the menu. We would certainly use the Hotel again and advise others to do so. Only fault was that the Voucher did not contain the telephone and address of the Hotel and I had some difficulty in locating it on the first night. Really enjoyed our stay over the Bank Holiday w'end. The staff were very friendly and helpful. 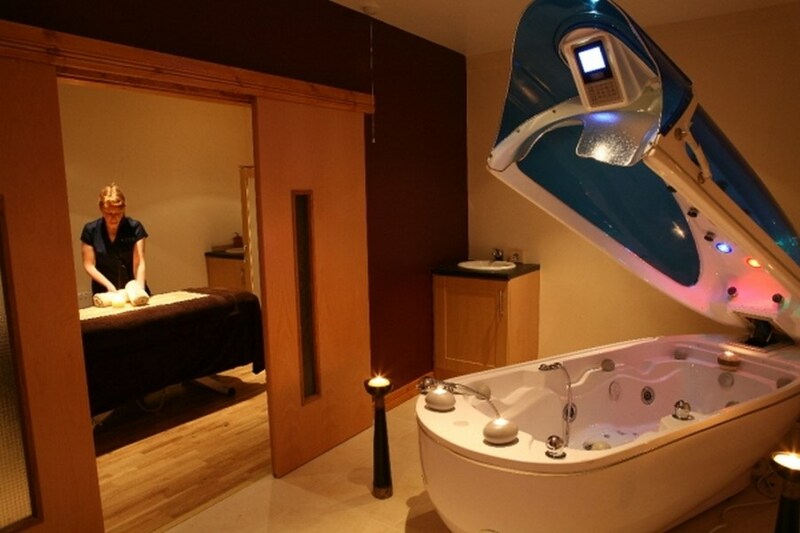 I would particularly like to commend Roisin, a receptionist, who dealt very sensitively with me! The hotel was buzzing but there was attention to detail. We loved the late breakfast time. The food was tasty. I would definitely go back. The Hotel is a distance from the town but taxi back was reasonable. Hi. We are in our mid 50s and we enjoyed our 2 nights B&B 1 evening meal at the Hotel Ballina. All the staff were nice and friendly. Room was very well kept and the bed was comfortably. 15 min outside Ballina there is the lovely inishcrone beach where you can go for a long walks. Ballina is a lovely Town with lots of shops. perfect break if you want to get away from all the hustle of the city. Hotel quiet , and perfect for couples.spotless clean and we upgraded to a junior suite and the bed was so big and comfortable. Would recommend a stay here. We had a 3 day stay at the Ballina Hotel. Nice hotel, a bit out from the town, but we enjoy the piece and quite so we didnt mind. Staff were nice and friendly. Room comfortable and spacious. Pool and gym facilities are good. the only negatives I would have were 1) the noise in the pool from some pump/heater was terrible 2) we had dinner one evening in the restaurant, we were settled down to enjoy our mean when a staff member proceeded to drag the tables around the room. Obviously to set up for a party, at least have 2 people to lift the tables rather than one person draging and screeching furniture around. Spoiled the atmosphere! Overall we enjoyed our stay and would recomment. Recently stayed here for two nights over October bank holiday weekend. The hotel itself is a lovely building and the room we were allocated was clean and spacious. We had dinner included in our package which we had on the first night of our stay. It was fabulous and the service was great could not fault it. The bar man JJ "I think" was friendly and chatted to us when he was behind the bar. We were so dissapointed to arrive to breakfast next morning. we went down at 10.30 so we were on one of the last sittings Im sure as breakfast finished at 11am. We had to clear our own table and then go and ask for cutlery and then cups and then tea. Nobody greeted us to ask for room number or say "Good Morning". Breakfast itself was not great at all my husband was up getting his breakfast and anothe guest joked with him about the eggs been there since last week !!! So he passed on them. We used all the facilities such as the pool, Sauna, Jacuzzi, Steam room these were all great facilities (steam room is tiny but was really lovely). We went for some lunch in the bar. We were the only people there. My husband ordered potatoe Wedges from the lunch menu ......... Do not order this. One potatoe cut into four pieces with some sort of a sauce on top. For this we were charged €6.95 - for a potatoe ! It was meant to be portion of potatoe wedges with bacon bits and creame fraiche what he got was a side order or wedges. Again no welcome to us here acutally we felt like we were in the way ! We did not have dinner there that evening. Breakfast again same thing not one person clearing tables although the breakfast itself was much better and we went in at the same time as the morning before. We again had to clear our own table and go on the a hunt for cutlery etc. One girl working there Tara spoke to us was very pleasant came over with tea and toast and started to clear space beside us so we could enjoy our breakfast. This hotel has a lot of good points in the services it has to offer but that is it. Dont be going here for a hearty welcome !!! We had a very enjoyable 2 day stay at the Ballina Hotel. The staff were very welcoming, friendly and helpful. We took advantage of the pool and gym facilities each morning before a wonderful breakfast and then out sight seeing. The hotel was very clean and well equipped. Will definitely be back.